A good drink isn’t hard to find in Milwaukee; dozens of bars and restaurants mix a mean cocktail. 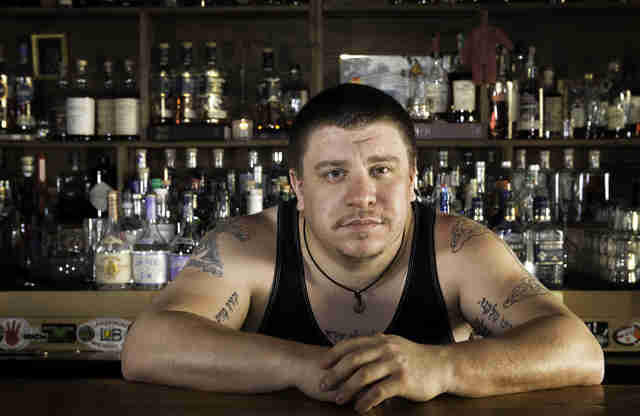 But there are a few bartenders and bars that are shaking things up a little, whether through creating clever recipes for old standbys, or trying unique bar concepts. Pay these standout spots a visit, meet the folks who make the magic happen... and ask them to pour you a drink. The members of the super-friendly Buckley clan are a perfect complement to the cozy and warm interior of this Downtown gem that’s been thriving for a decade. Mike, the affable patriarch, greets patrons with his Bostonian lilt. Sons Taylor and Britt both started working in the service industry as teenagers, and now they take care of a damn-fine bar at the restaurant. How important is it to come up with a great cocktail list at a restaurant? Britt: I feel like it is a reflection of how much we care about all aspects of the restaurant. You don't want to have great food, great service, great wine, great beer, and a mundane cocktail list. Really, it starts with having a bar staff dedicated to making every cocktail incredible. Once the guests know that you take the time to make each drink the proper way, then they get interested in trying your more unique house cocktails. Do you do a lot of experimentation behind the bar? Britt: Always. You never know where inspiration will strike, so you need to taste different combinations to get the creative juices flowing. For example, we hosted a dinner where we used Becherovka, a spiced Czech liqueur, in a dish. We wanted to use it in a drink, but not as the main ingredient, so we tried tasting it with other things on the shelf, and before long, we had the ingredients we wanted in the drink. Soon we nailed the ratios, and the Czech Your Head (rye, Becherovka, Briottet peche, Primitivo Quiles vermouth rojo, and Bittercube Blackstrap bitters) made the menu. Britt: Probably gin. There are so many great iterations of gin available right now, and they’re all unique. It allows you to take a drink in so many different directions depending on who you want it to appeal to or what function you hope it serves. Taylor: It’s no secret we love a good amaro at Buckley's. We have one of the more impressive collections in the city, along with vermouth. You can sneak a little into a cocktail to give it more depth or showcase it on its own; they offer an incredible spectrum of flavors when you are creating a cocktail. Britt: That's tough. My favorite that I developed is our Hoppy Ending (Hophead vodka, yellow chartreuse, St. Germaine, grapefruit juice, lemon juice, and Bittercube Door County Hops bitters). It was a challenge because I'm not a fan of grapefruit juice. But when the drink needed something, it really took it to a new level. Taylor: In fall and winter, I gravitate towards the darker spirits. I’m a sucker for spins on the classics, so for me, the boulevardier is a great cocktail to play around with. The different flavor combinations and depth you can achieve between vermouth, amaro, spirit, and bitters is incredible. Twisted Path Distillery and Bittercube bitters teamed up to create a tasting room that is more speakeasy than bar. Behind a nondescript door adjacent to a series of loading docks resides a tiny bar with just five barstools and a couple of tables. That’s where Reyes does his work. Everything he uses to craft a tasty Where’s My Bourbon -- dark rum, oak syrup, Bittercube bitters, and grapefruit oil -- is made in-house. In fact, basically every single thing behind the bar is made in house. Is it a challenge to create drinks solely with ingredients made in-house? Does that make it more fun? Brandon Reyes: It’s a challenge, but through extensive tasting and research, I continue to refine my palate and learn techniques that help me deliver an amazing experience for our guests. It's great to have a story I can tell about everything in my bar. What do you think Dock18 offers that's unique to Milwaukee? Reyes: A small, intimate space with friendly and knowledgeable bartenders. We offer cocktail tastings where guests can taste their way through the menu... all while hearing about the nuances of each ingredient and a menu that changes weekly. With the cozy atmosphere, you probably have to interact more with all of your patrons than at a normal bar. Is that a good part of the job? Reyes: It's like hosting a cocktail party every night. I'm accessible, and I am part of every guest's experience. I love what I do, and getting people excited about cocktails and spirits in Milwaukee. It's one of my favorite things about my job. Where do you guys come up with your drink recipes? Experimentation? Reyes: Utilizing Bittercube's philosophy of cocktails, we begin our experiments with a proven recipe; we then think of seasonal flavors and interesting techniques we can apply. We also have a vast catalog of cocktail and ingredient recipes that we are constantly referencing and improving. We break down our weekly menu into different styles of cocktails and try to balance it so that there's something for everyone. Detailed notes are taken and reported to the rest of the team and after being scrutinized and fine tuned, we finalize the menu and send to print. Reyes: Feeling confident in the quality of products I'm serving and being able to share them with great people. The average barfly can likely name only handful of different gins. Sam Berman presides over more than 150, the most in the Midwest. The extensive menu includes the discontinued Tanqueray Malacca, and the extremely exclusive Nolet’s Reserve, a gin made with saffron that costs $130 a pour. Gin is the main focus, but Berman’s bar also includes 150 whiskeys and bourbons. Tin Widow is a dark, laid-back spot that serves the type of well-crafted drinks that you’d normally find more at home in a pretentious cocktail lounge. Why the huge gin list? Sam Berman: I’m a gin guy. I think everyone thought I was losing my mind at the beginning; it’s an underutilized and under-respected spirit. Gin is extremely versatile. I saw a market inefficiency and made it our own -- curation is the name of the game. Having a large list is one thing, but having a great list is another. The entire picture makes a huge difference. Does the average drinker realize how versatile gin can be? 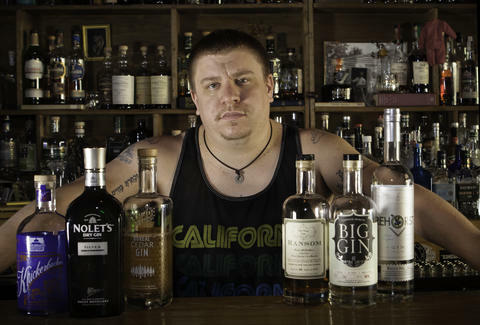 Berman: We treat our gin list the way many bars treat their whiskey list. My stock answer when people come in and say they don't like gin is, "We have gin for that." And we do. The misunderstanding comes primarily from people thinking that gin only tastes like one thing -- usually pine trees or "Christmas" -- when in reality, gin is an exceedingly versatile spirit. How do you get cautious drinkers to give gin a try? Berman: I find that a good way to "convert" people is to take the build of a whiskey cocktail they're familiar with, like a Manhattan or a Sazerac, and adjust it to fit a gin I think they might enjoy. Barreled gins are particularly helpful with staunch whiskey drinkers. I like confounding people's expectations; when you present a unique experience, as our gin list allows us to do, people are pushed out of their comfort zone and tend to be willing to be guided to something they might not normally try. My staff and I are proud that we have that opportunity -- to engage, to confound, to educate, to elevate. What’s the best part about being behind the bar? Berman: I've said many times that every minute behind the bar is better than any minute on the other side of the bar. I'm not sure I can boil down the experience of tending bar into a single "best" part. I love welcoming people into my home, and helping them have a better night than they were having before they walked in. 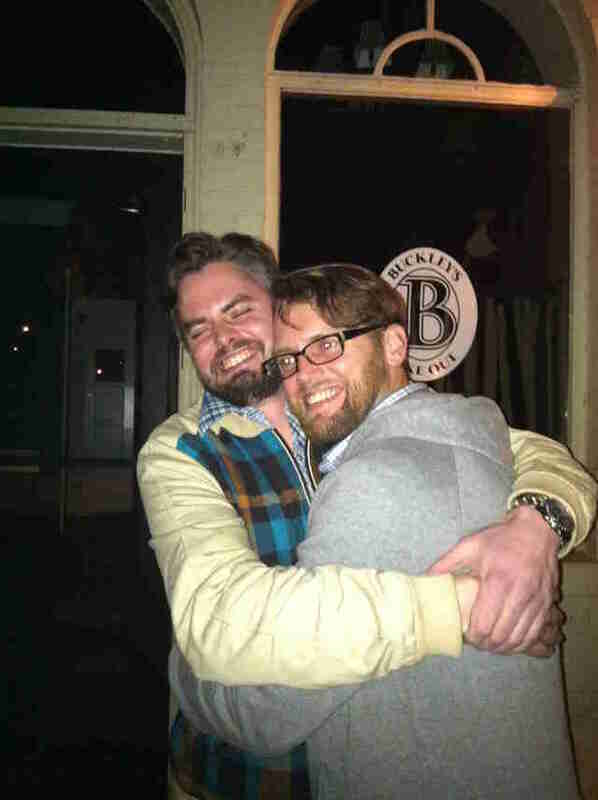 In that vein, I think the most rewarding part of being a bartender is having people you know you helped have a great experience come back in for a return visit. It's incredibly gratifying to have new guests become regulars. A well-planned farm-to-table menu requires an equally thoughtful cocktail list, but Goodkind’s Katie Rose goes above and beyond. The space resembles an unassuming corner tavern at first glance, but the incredible drink menu tells a more complex story. Case in point: Goodkind’s take on a Manhattan, which includes Woodford Reserve bourbon, Carpano Antica vermouth, Pedro Ximénez sherry, Amaro Averna, and absinthe. Delicious. 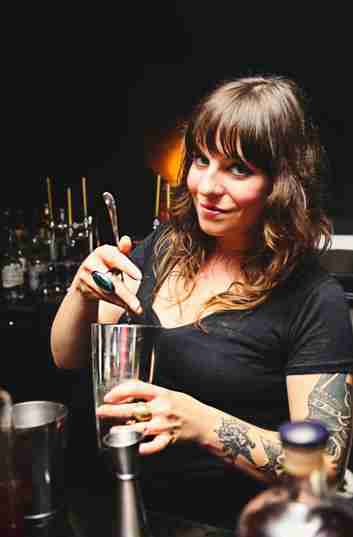 Katie Rose: I started bartending about eight years ago at Burnhearts, with some thorough convincing. I actually didn't want to do it at first. How important was it to put together a unique cocktail list at Goodkind? Rose: It's something I'm very passionate about; it’s very much a creative outlet for me. So I wanted it to stand out in the city and showcase my talents, as well as the talents of my staff. A high-end cocktail list delivered without pretentiousness was something I thought was needed. Because Goodkind is much more than a bar, are the drinks here crafted with thought to how they'll pair with the food menu? Rose: Absolutely. I communicate with the kitchen all the time on new menu items, and there's a certain feel to the menu that I play off of all the time. I frequently defer to the kitchen's palates when I'm working on something. For example, our southern European-styled menu wouldn't necessarily pair with tiki drinks, but the tiki-inspired drink I have incorporate a black pepper chai syrup that warms and spices up the drink, and changes the tone to fit the food. Seasonality is important, too. Your drinks are very complex. 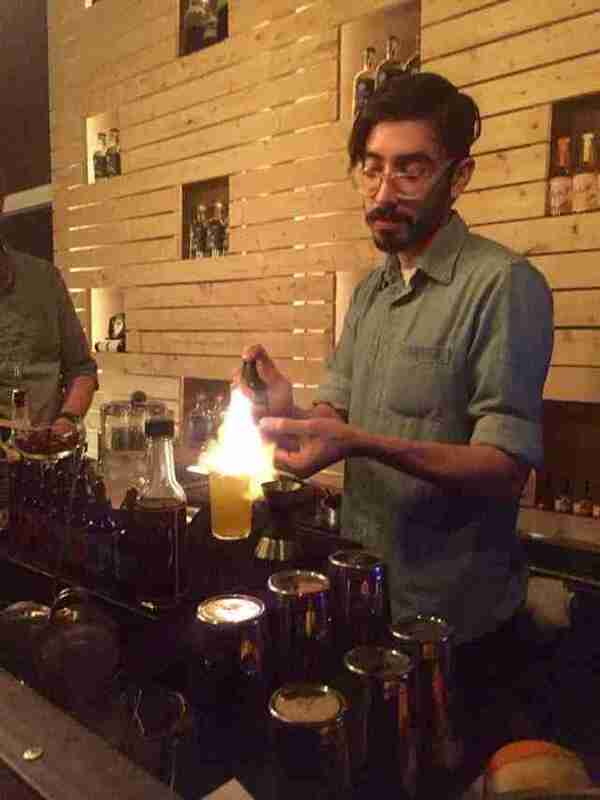 Do you do a lot of experimentation behind the bar to come up with them? Rose: Oh, my God! Every day and all the time, sometimes longer than I’d like, but it's worth it in the end. I won't put something on the menu if it's not perfect and testing, retesting, and re-retesting is key. I'll get a hair-brained idea about an infusion or some such thing, but that kind of stuff doesn't happen overnight. Conception to production of a drink can take a long time. It's a labor of love for sure. What's your favorite liquor to use and why? Rose: It's hard to play favorites, but I love gin. It's complex and layered, and I feel like it's one of those underdog spirits. I love serving a gin cocktail to someone who "hates" gin, and then they order a second. I also love the bitter flavor profile. Rose: That changes all the time, and it depends on the weather, my mood, what food I'm eating -- all of it. But hell, a gin and tonic on a hot summer day is really something else.